Posted on September 30, 2018 October 2, 2018 by Rachel A. Sometimes you love your neighborhood, but the house just does not satisfy your needs. Or maybe you rented, and you finally decided it was time to get your own spread. And when a house in the neighborhood goes on sale, you grab it. No matter how close it is, it is not much easier to pack for a move next door. The distance between your old house and your new home does not directly correlate with how easy or difficult it will be to move. This actually requires the same amount of effort (or perhaps more) than moving around the city. That’s why it’s still good to hire Miami Beach movers, even if your new home is down the street. Moving everything in a new house depends heavily on the layout and features of the object you are moving into. It would be much easier to drive a truck for a few more miles and unload everything into a house that is one-story on flat ground than to walk a few blocks and go to a two-story house with such a steep incline that you cannot pull the truck out onto the driveway. In other words, the difficulty is not in the location, but in the property. If one or both of the properties have obstacles, it’s better to hire one of the local moving companies Miami. Regardless of where the new house is, moving still remains the same. You still have to pack everything in the old house. And it will be just as labor-consuming, no matter where it goes. If you don’t have much time or you have items that require special hire, you need to get some help. So, what should you do to pack for a move next door? Moving can be fun, but the packing is horrible. The shine and optimism of a new home is quickly reduced when you are busy dragging your things into boxes so that it does not break in the way. Here are some tips to make things simpler. It’s easy to say “do not wait until the last minute” to start packing and plan your move. But that’s not enough. Instead, start early. The early start gives you the freedom to move boxes around your house so they do not interfere with you. Take your time and find the right pace for yourself. And, first of all, avoid this panicked crunch the week before, or even the day before your move. Do not do that to yourself. Do not try to move all your valuables in the Amazon boxes that were already through the system once. You do not need to pay for the boxes. 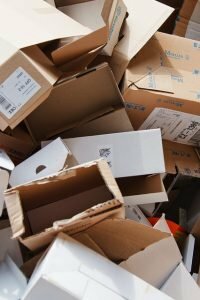 There are many people who want to get rid of their boxes on Craigslist and the local Freecycle forums. You can pick up good, quality boxes from your office. Or from local businesses, such as liquor stores and bookstores, without paying a penny. U-Haul even has a forum for connecting customers, where people can exchange boxes for free. However, the downside to getting all your boxes for free is that you do not know what comes with them. All kinds of pests like to roll on cardboard boxes and will happily make your things their new home. So if you are willing to pay, it can save you your peace of mind. And don’t worry, there are plenty other ways to save on moving supplies. It’s never too early to start throwing out things that you do not want to move. Seriously, do this as soon as you realize that you are going to move. And then do not stop throwing things you do not need until the day of your move. You could organize a garage sale. And then invite all your friends to come and buy everything you want to get rid of. If you really want to, you could even conduct your own real estate sale and a really clean the house. So, before something enters the box, ask yourself: “Do I really need this? Should it come with me, or should I replace it later? Can I afford to replace it?” Let the answers there help you. The last thing you need to do when you get into your beautiful new home is to clean. Your local movers Miami will want to find out where you want your bookshelves. And you will be busy wiping the old dust that you could have cleaned before you left your old place. Clean while you pack for a move next door, you will thank yourself when the day of the move comes. In addition, you will probably be tired when you get to your destination. And you will be happier moving clean furniture to a new, clean place. Give yourself this pleasure, at least. It does not matter that you are moving next door, you still have to mark all your boxes and make your own inventory list. Keep track what’s in each box, for your sake and for any insurance you might have. And, of course, that will be really useful when you start your Miami post-move unpacking. 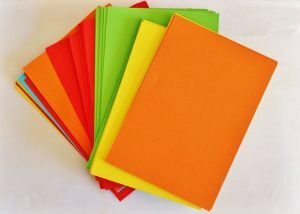 Isn’t it better to know where to unpack which box? Moving is not always fun, whether you are moving in the neighborhood or across the city. 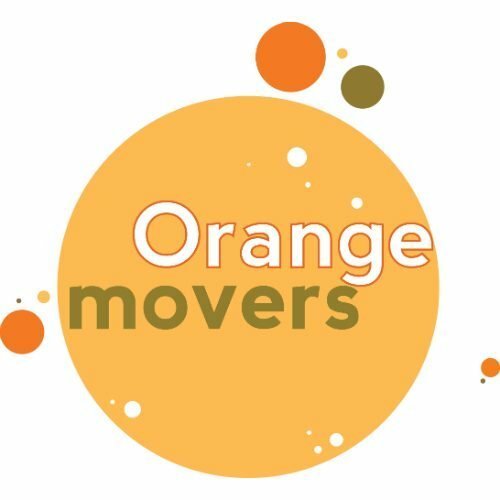 At Orange Movers Miami we do everything in our power to make any move more relaxed. We can even help you pack for a move next door. So that you can focus on enjoying your current and future neighborhood rather than worrying about the move.